21 posts categorized "Moshe Rubashkin"
Sholom Mordechai Rubashkin was taken into federal custody last night. But which other Rubashkin was released from prison yesterday? "The government has targeted our family, and my father in particular, using them as scapegoats. They have been all over the media in this massive witch hunt." 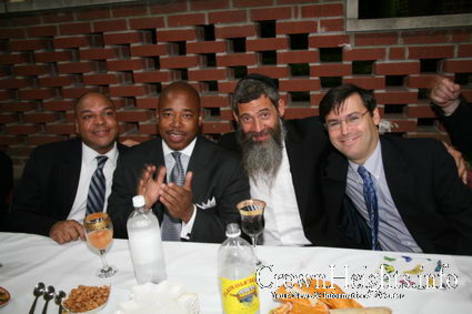 A Crown Heights blog, affiliated with an opposing faction, details the latest violence committed by Rabbi Moshe Rubashkin, head of the government sponsored Crown heights Community Council and a convicted felon. Rubashkin in a son of Aaron Rubashkin, purveyor of Aaron's Best, Rubashkin, Shor HaBor, Supreme, David's and other kosher meat brands. Rubashkin also makes Nathan's hot dogs. And, of course, this is the same Aaron Rubashkin and family that ripped the throats out of live cattle and abused employees (and, again). Attacking Chairman of the Netzigim Yisroel Best in the middle of a Netzigim meeting. Rubashkin was arrested and Best had to be given an Order of Protection against Rubashkin. Attacking Levi Huebner at a public meeting with Shmira, Hatzoloh and politicians in the Council offices. Assaulting Eli Slavin, Yitzchok Holtzman and Eli Polterak at various times for disagreeing with him. A Council employee who refused to be identified reported that Rubashkin often loses his temper and screams at employees. Most of the employees are scared of losing their jobs, so they accept whatever verbal abuse they are given. 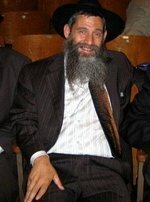 Rubashkin also assaulted police officers in Crown Heights during the 1980s. The altercation began when Rubashkin asked Light to take care of a tenant who had a problem with a child with medical problems. Light responded that there are social workers at the Council who would be more suited to the task.Rubashkin ordered Light to do as he told him to and started screaming. He picked up the computer monitor and smashed it, and did the same with the printer. He overturned Light's desk and started ripping up files. Then he grabbed Rabbi Light by the collar of his shirt and smashed him up against the wall and hit him. Light broke away and went to R. Shlomo Segal's office - Segal was at the door. Rubashkin chased him, grabbed him again and smashed him up against the wall again. Segal retreated into his office at this point. Rubashkin screamed that Light was fired and threw him out. Police were called and took a report. Thus far no arrest has been made. Light was taken to a local hospital for a tetanus shot as a precaution for a cut he received in the altercation.